How Do People Pay for Drug Treatment? Drug Addiction Treatment How Do People Pay for Drug Treatment? Over a quarter of the adults in this country who are living with a serious mental health issue also suffer from troubles with substance abuse, as reported by the U.S. Department of Health and Human Services. Each of these disorders is complex and presents a unique set of circumstances. Mental illness is defined by the National Alliance on Mental Illness (NAMI) as a disruption in daily functioning affecting thoughts, mood, feelings, and the way a person relates to others. The American Psychiatric Association publishes the Diagnostic and Statistical Manual of Mental Disorders (DSM), which classifies over 200 different mental health disorders. The 2012 National Survey on Drug Use and Health (NSDUH) found that 18.6 percent of adults over the age of 18 in the United States met the criteria of at least one of those mental illnesses that year. Additionally, the NSDUH found that 4.1 percent of American adults had a serious mental illness in 2012. The National Institute on Drug Abuse (NIDA) classifies addiction as a chronic and relapsing brain disease, wherein drug seeking is a compulsion regardless of any negative consequences. In 2013, the NSDUH estimated that 8.2 percent of people over the age of 12 were characterized, by the most current DSM, as meeting the criteria for substance dependence or abuse in the past year. When mental illness and a substance abuse disorder, or addiction, are present in the same person at the same time, the disorders are considered to be co-occurring. Recent estimates by NAMI suggest that one-third of people with all mental illnesses also abuse substances, while conversely more than half of those abusing drugs also suffer from mental illness. There are many theories as to why these issues occur simultaneously so frequently. Those with a mental health disorder may turn to drugs as a form of self-medication. Substance abuse can numb the pain, slow racing thoughts, or generally create a feeling of euphoria for example. Mental illness all too often goes untreated or undiagnosed and drugs may seem like the answer. This type of self-medication may have unintended consequences, however. In some cases, substance abuse may actually make mental illness symptoms worse or even cause someone without a history of previous mental illness to experience symptoms for the first time. Researchers agree that genetic and environmental factors both play a role in the development of a mental illness, substance abuse disorder, or both. Overlapping genetic vulnerabilities may be at least partly responsible for the development of co-occurring disorders. The same genes responsible for the onset of a mental illness may predispose someone for a substance abuse disorder. Similar regions of the brain may be involved in both mental health disorders and substance abuse disorders, as well. A study published by NIDA showed the correlation of marijuana abuse and schizophrenia. Those with a particular variant of the COMT gene may have a predisposition to developing schizophrenia. Those with the genetic variant who also used marijuana in adolescence were more likely to develop the disorder later in life. Age of onset, or the age at which substances are initially abused, therefore is equally important to the development of both a mental health disorder and a substance abuse disorder later in life. Young brains are still developing and the introduction of an illicit drug may disrupt the chemical balance and make changes to the brain, increasing the risk for the development of a mental illness. Similarly, those who display symptoms of a mental health disorder at a young age may be more likely to turn to substance abuse as they grow up. Environmental triggers may also increase the risk factors for both disorders. Childhood trauma, stress, and emotional or physical abuse may make someone more susceptible to both mental health disorders and substance abuse disorders. The management of stress reactions may differ from person to person. Someone with a diminished capacity to handle stress successfully, or who is constantly flooded with stressful situations and reactions, may have or develop a mental health disorder and also be predisposed to turn to substances. Social and cultural triggers as well as socioeconomic factors may play a role in the development of co-occurring disorders also. Both addiction and mental illness affect regions of the brain and are considered brain diseases that may affect the reward pathways and chemical messengers in the body and brain. For example, dopamine is a neurotransmitter, or chemical messenger in the brain, that is part of the brain’s natural reward system. Dopamine production is part of what makes you feel good. Many drugs, especially stimulants like cocaine, increase the production of dopamine, therefore changing the natural chemical balance in the brain. Chronic cocaine or stimulant abuse leads to the brain developing a tolerance to the substance and becoming accustomed to the chemical imbalance. The brain then stops producing dopamine naturally without it. An abuser will then need to take more and more cocaine in order to produce the desired “high” or euphoria. In between doses, chronic abusers are likely to feel very low and even depressed, creating a dysfunction in the brain’s natural reward system. Schizophrenia and depression are also characterized by a dysfunctional reward pathway and irregular production of dopamine. A mood boost may initially be achieved through the abuse of a stimulant. Long-term, this abuse actually creates more problems. Anxiety disorders affect around 40 million adults over the age of 18 in America each year, according to the National Institute of Mental Health (NIMH). These disorders are characterized by an abnormal reaction to stress and high stress levels. Tranquilizer and sedative drugs, including benzodiazepines, are often abused in order to quell these feelings of unease. Benzodiazepines are psychoactive drugs that have a calming and relaxing effect by depressing certain regions of the brain. They are often used in the treatment of anxiety disorders, but when used in excess or out of the context of a prescription, they can lead to the development of a tolerance, dependence, and even addiction. These drugs are not meant to be taken long-term, and overuse changes the chemical makeup of the brain, bringing dangerous side effects. The Drug Abuse Warning Network (DAWN), which measures emergency department visits related to substance abuse, reported that an estimated 943,042 people were seen for benzodiazepine-related issues between 2005 and 2011. Those with a mood or anxiety disorder who are seeking a calming or relaxing effect may also abuse opioid pain relievers and heroin, which also central nervous system depressants. Co-occurring disorders present the additional complication of health risks for each of the disorders as well as the exacerbation of all side effects. Substance abuse can wreak havoc on the brain and body, as well as make symptoms of mental illness worse. Changes in brain chemistry due to substance abuse may take time to reverse. Stimulant drugs include speed, ecstasy, methamphetamines, and cocaine. Combining these with a mental health disorder may increase the intensity of emotional symptoms and the risk for suicidal behaviors. This class of drugs may also increase the risk for suicidal behavior as well as the risk for lowered cognitive abilities when coupled with a mental health disorder. Each of these classes of drugs also includes the potential for impaired judgment and increased risk-taking behavior that may lead to accidents, risky sexual behavior, or other poor decisions with lasting effects. With co-occurring disorders, all symptoms may be heightened, which may also increase the risk for an overdose. Perhaps the greatest concern for those suffering from a co-occurring mental illness and substance abuse disorder is suicide. Over 90 percent of people who carry out suicide are diagnosed with a mental illness, and one in three are intoxicated at the time, according to NAMI. At any indication of suicidal behaviors, seek immediate professional help. The most successful treatment of a co-occurring disorder will be comprehensive and integrated. This means that a medical team will work together to treat both disorders simultaneously. Medications may be used to ease symptoms of a mental health disorder and also to help someone who may require medical detox. Medical detox is the pharmaceutical process of purging harmful toxins from the body while under professional supervision. It is important for all treatment personnel to be on the same page when dispensing medications for multiple disorders or afflictions. These medications should work in tandem to aid recovery. Someone who is addicted to drugs may require detox before continuing treatment in order to start treatment with a clean slate. Withdrawal symptoms for some drugs may be best eased with the help of medication. While mental health disorders and addiction may be similar in the ways they affect certain regions of the brain, they may need separate therapies to manage the symptoms during recovery, depending on the type of mental health disorder and the severity of the substance abuse disorder. Counseling for both the mental health disorder and the substance abuse disorder should be completed in tandem with therapists working together as a team for the best results. Therapies may include cognitive behavioral therapy (CBT) in order to redirect negative behavior and thought patterns into more positive ways. CBT may actually help increase brain functions and gray matter per studies reported by the Journal of Pain. Life skills and coping mechanisms are taught to aid in identifying and successfully managing emotional and social triggers. Support groups and family education and therapy can go a long way in helping to reduce relapse. 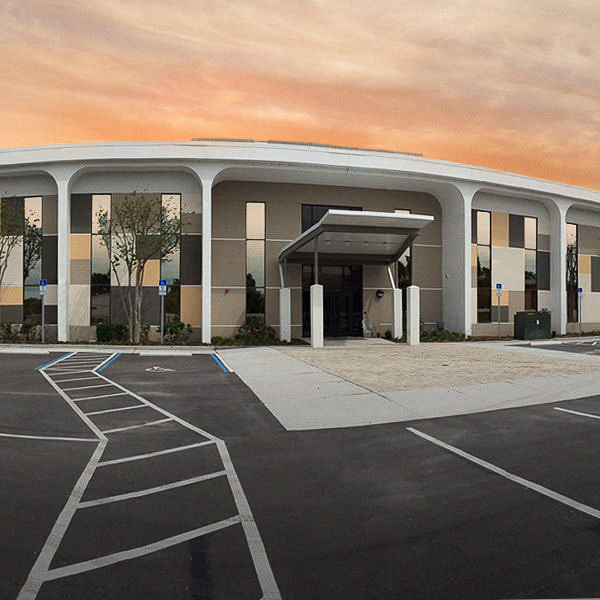 Orlando Recovery Center is a comprehensive care facility with round-the-clock medical care on site. 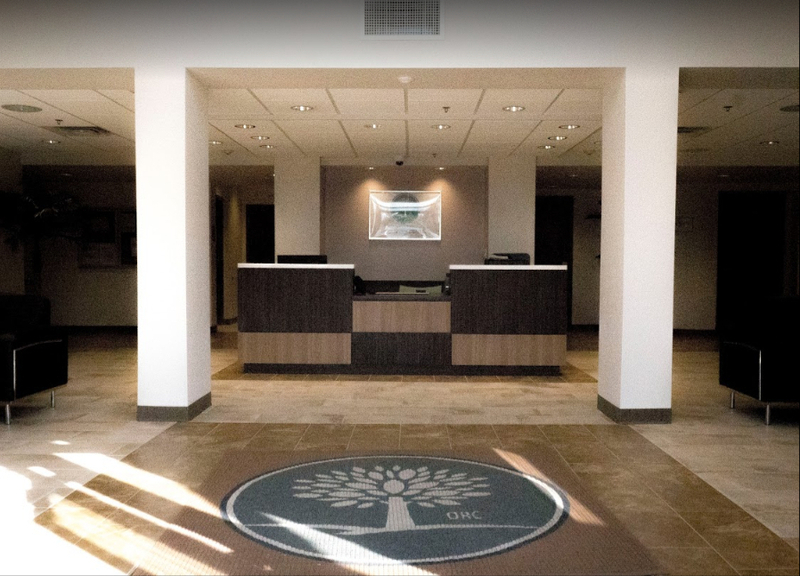 A safe and secure environment staffed by compassionate professionals provides the tools necessary for a successful and lasting recovery. Progressive treatment models identify specific methods that will be best suited to the individual in order to provide specialized care plans. Contact us today to begin the healing process. We are here 24/7 to take your call.